How are relations along value chains actually formed and what are the governance structures along production segments? 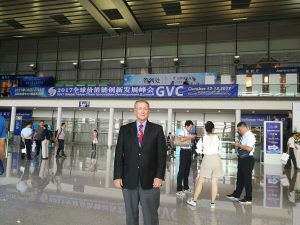 Duke GVC Center director Gary Gereffi addressed this question in a presentation during the Global Value Chain Innovation Development Summit held in Shenzhen, China on October 12-13. Since its debut in 2015, this Summit has become a unique platform for dialogue and exchange among business communities, government agencies, academia, and international organizations. – Shenzhen HTI Group Co., Ltd.
1. What are the main factors affecting the formation of governance structures in GVCs? 2. What are the main models of GVC governance? How are these models being used in current GVCs? How will those models evolve in the future? 3. What are the roles that the governments could play in shaping and reshaping the governance structure? 4. What is the role of international organisations? What actions could be prioritized? More information about this prestigious event is at the following link.